Whose child will grow to become the next innovator of the 21st century? Luckily, research has a few tips for altering the ‘nurture’ part of the success equation. In a recently published research paper “Who Becomes an Inventor in America? The Importance of Exposure to Innovation” the data is clear- a childhood full of exposure to individuals who specialize in innovation through one’s family or neighborhood has a significant effect on a child’s propensity to become an inventor. 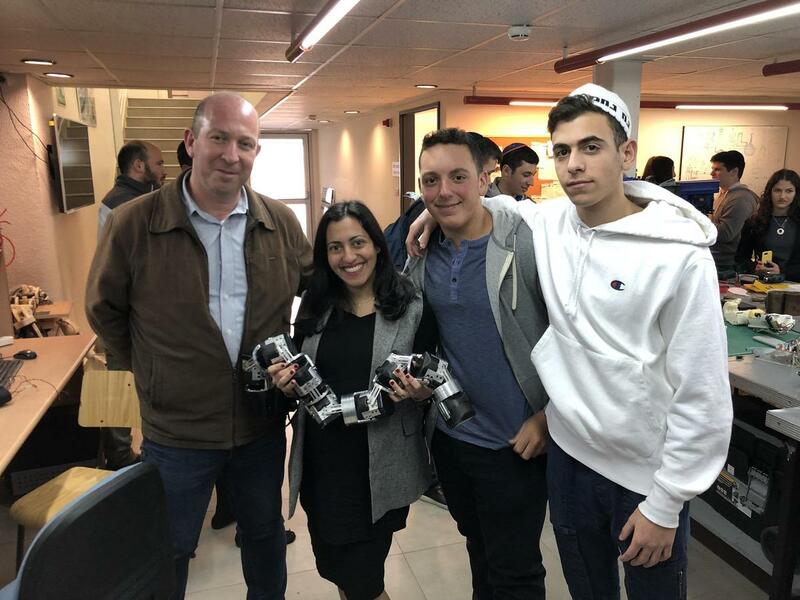 In line with this research, CIJE- Center for Initiatives in Jewish Education, has crafted a 10-day marathon trip through some of the most innovative companies that are shaping the technological landscape of the start-up nation: Israel. A country with a limited population of 8.7 million, Israel has the 3rd most companies listed on the Nasdaq, after the US and China. Israel has earned the moniker of “Startup Nation” mostly because it has largest number of startups per capita in the world, approximately 1 startup for every 1,400 people. For comparison’s sake, for every 1400 people France has .112 startups, Germany has .056 and the UK has .21 startups (Israeli Tech's Identity Crisis: Startup Nation or Scale Up Nation?) . Israel shines not only numerically but also quantitatively, some of these startups have gone on to be high-profile exits — Mazor, which sold to Medtronics for $1.6 billion, and Mobileye to Intel for $15.3 billion, both which were visited by CIJE students on their recent trip. CIJE teenagers got first-hand exposure to the pioneers, hackers, inventors, and entrepreneurs who are tackling some of the most pressing issues of our times. These innovators are driven by purpose, displayed irresistible passion, and have crystal clear goals that are fueled by audacity/chutzpah to reconfigure the status-quo. CIJE services over 200 Jewish day schools and Yeshivot with Engineering curriculum that is guided by a bi-weekly visit from a senior Engineer or scientist. In addition, CIJE brings together schools in enriching programming that include hackathons, Shark Tanks, visits to leading tech companies and premier universities. Students from Jewish day schools across America—NY, NJ, FL, WA—visited an array of startups specializing in AI, electric aircraft, drone technology, drip irrigation, water desolation, air-defense, app development and autonomous driver-assistance technology- to name a few. Students quickly noted that each company was driven by a clear passion to combat a specific life-altering issue. 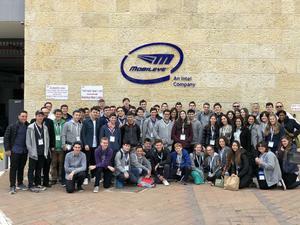 Mobileye is set on eradicating the enormous amount of deaths from automobile accidents. 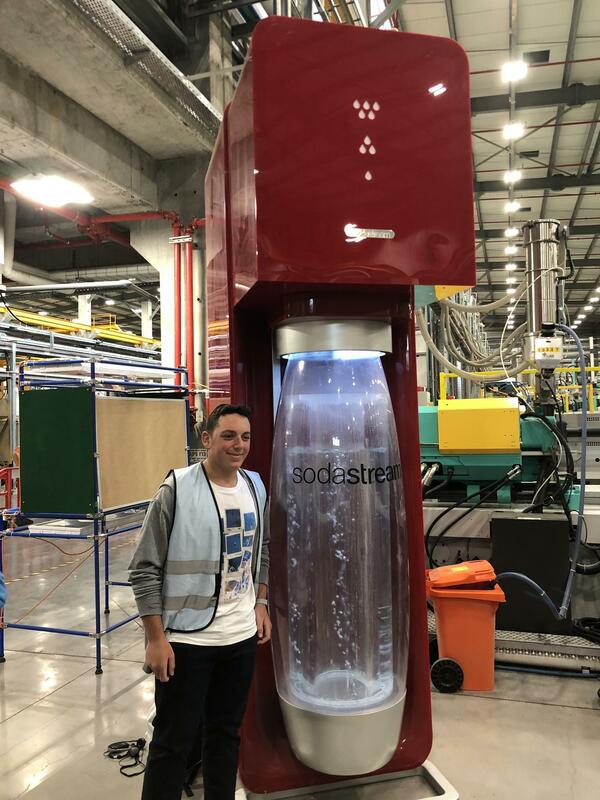 Sodastream conveyed a strong message of sustainability by limiting the one-time use of plastic bottles and is driven to create a new paradigm of peace through employing a diverse workforce. Eviation, another destination through “start up nation”, aims at changing the way people move regionally, they are pioneering the industry’s first all-electric aircraft. The zero-emission aircraft will transport 9 passengers for the price of a train ticket. This company wants to make long drives – “fly” by. CIJE students were mesmerized by the robotic demonstration at Mazor Robotics. Mazor is an Israeli medical device company and manufacturer of a robotic guidance system for spine surgery. The systems provide surgeons with 3D analytics and virtual-planning tools that guide robotic arms to enable screws to be placed with far more precision than freehand alone. Precision is a big deal in spine and brain procedures; Improperly placed implants can sometimes lead to permanent nerve damage and expose medical practitioners to legal headaches. What's more, increased precision lowers complication rates, lessens the need for exposure to radiation, and leads to lower levels of post-surgery pain. 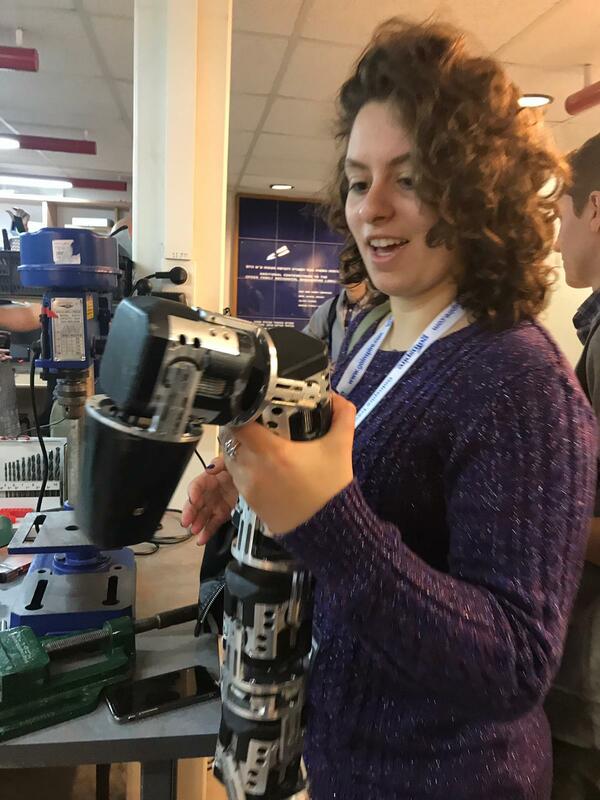 Beyond innovation in the corporate world, students watched robots spring to life at the Biorobotics and Biomechanics Lab research facilities at the Technion University. 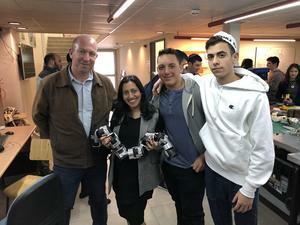 CIJE students got a firsthand tour from the lab’s founder-- Prof. Alon Wolf. The objective of the research in this specialized lab is to develop fundamental theories in bio-kinematics and biomechanics as well as to apply these theories to applications in medical robotics and bio-robotics. They have developed two revolutionary snake robots one outfitted for medical applications - very flexible snake that surgeons can drive into cavity space of human body to perform surgery in organs that are hard to reach. Another snake inspired contraption is for urban search-and-rescue application to locate survivors or indicate to search and rescue people whether it's safe to enter the building. Beyond life-saving technology they also specialize in recreation; this lab works closely with the Olympic Committee of Israel to establish a research center to advance Olympic Sports in Israel. How can aerodynamics help a windsurfer gain edge? Well, research can help answer that question. CIJE aims at harnessing the power of the network in order to propel Jewish day schools and Yeshivot to a high level of academic excellence in STEM education. While students clearly gained from the trip teachers also grew from the experience. 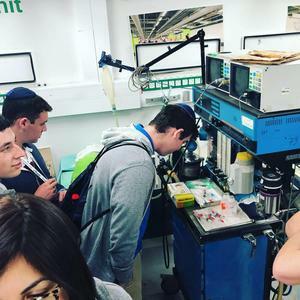 Rifkie Silverman of the Frisch School remarked, “The opportunity to connect with the CIJE mentors and other teachers was an added bonus. We shared experiences, best teaching practices and the challenges of incorporating STEM education. We hope to collaborate and elevate the quality of our programs.” Judy Lebovits, the Vice President of CIJE and the one who conceptualized the trip adds that “this trip is another crucial step in furthering the CIJE goal of underscoring the importance and the value of Engineering as it’s coupled with entrepreneurship. We hope it will expand our students’ vision of future careers. Who will become the innovators of tomorrow? CIJE students who experienced the in’s and outs of the Startup Nation know the formula well: irresistible passion, chutzpah, and the audacity to challenge the status-quo.